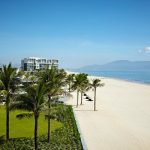 Hyatt Regency Danang Resort & Spa features extensive event and meeting facilities totaling 900 sq m (7,500 sq ft). Organizers can hold conferences or receptions for up to 250 guests in the elegance of the Regency Ballroom, or entertain guests in engaging beachfront venues with alluring views. All meeting rooms and ballrooms offer modern technology and the latest amenities to ensure that every meeting and exhibition detail is executed with ease and precision. The dedicated catering staff and culinary team will design a delightful menu to match the client’s needs and setting. The Hotel utilises fresh ingredients to create authentic western and Vietnamese cuisine that is as delicious as it is visually appealing. “The Hotel is an ideal base for exploring the exotic charms of Central Vietnam. 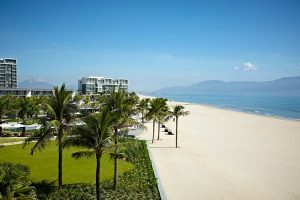 Designed with sense of space and local inspiration, it continues to provide an ideal setting no matter the occasion, from meetings and events to memorable family holidays,” Ima Sheeren, Director of Sales and Marketing, Hyatt Regency Danang Resort & Spa.